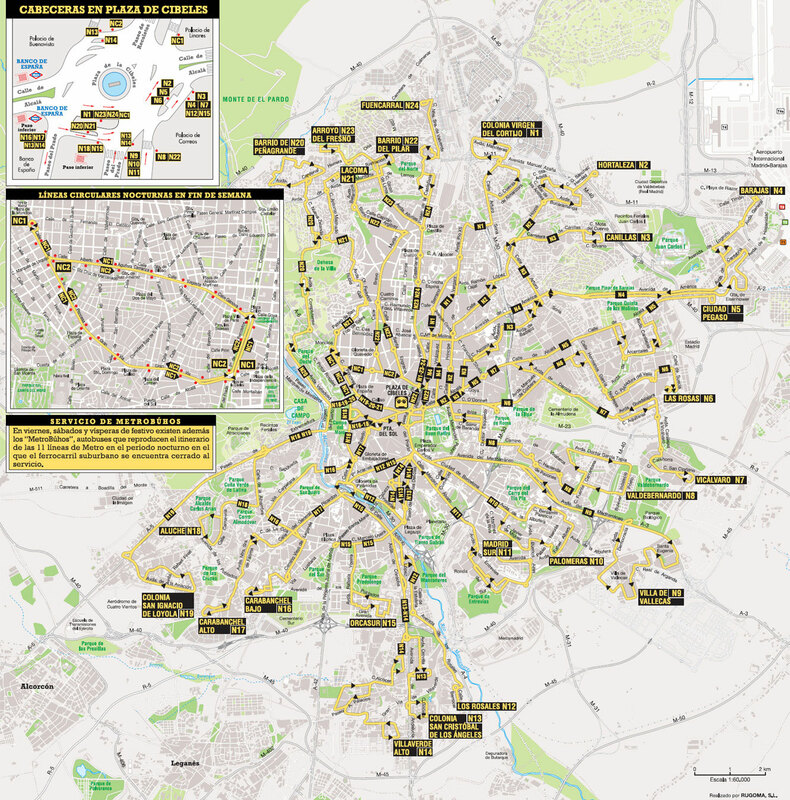 You can find on this page the map of Madrid bus and the map of Madrid night bus Búhos. Madrid buses are a transit system serving the city of Madrid (Spain) with the subway, the urban, suburban & commuter train or the tram. The bus & Búhos network has 244 lines (217 regular bus / 27 night bus) and more than 10,000 stops forming a bus network of 2,293 miles (3,690 km). 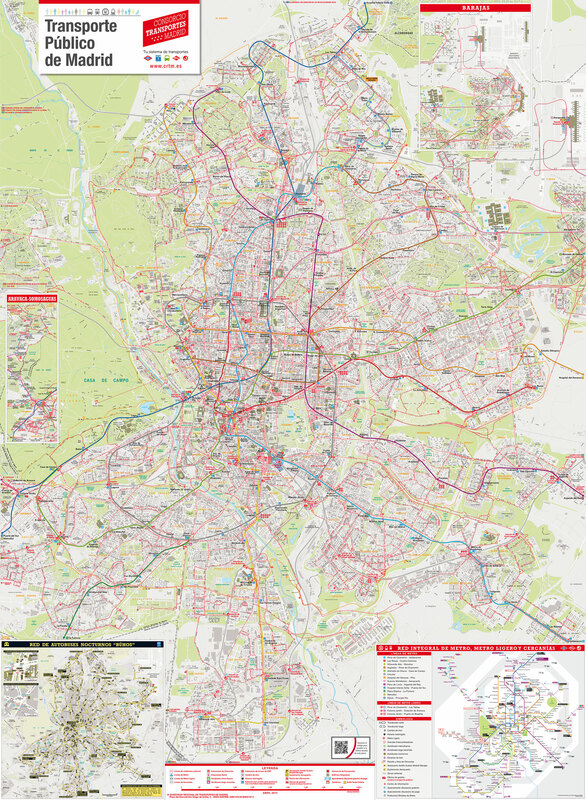 The Búhos night bus network of Madrid is operated by the EMT (Empresa Municipal de Transportes).